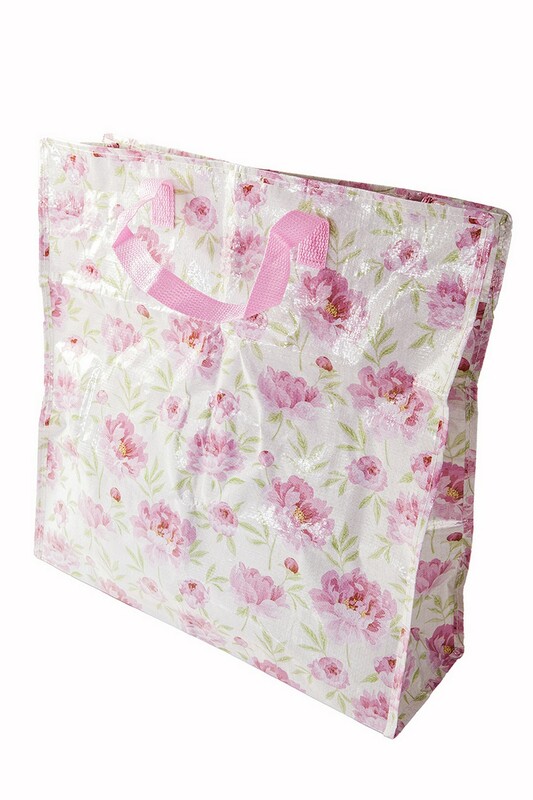 Lovely pink English Rose design large shopping bag. Strong cotton handles are fixed to the strong plastic bag. Rain proof (but not a zipped closure at top) and wipe-clean.